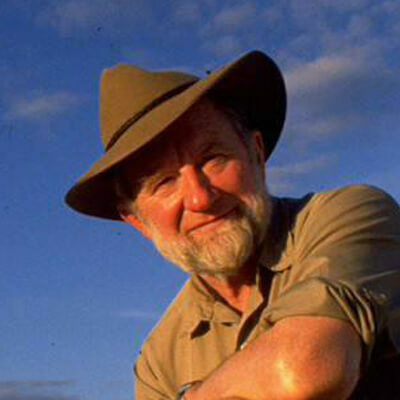 Jim is a geologist with a lifetime study of climatic change in the Australian landscape. On the shores of the ancient basin he named, Lake Mungo, his discovery of ancient human remains led to the establishment of the Willandra Lakes World Heritage area. Two early burial discoveries, Mungo Lady (1969), and Mungo Man (1974), remain today as foundation examples of Australia’s earliest occupants. Their extraordinary ritual burials, cremation on one hand, ritual ochre anointing on the other, testify to earliest cultural sophistication. Mungo Man’s ritual burial resonates today with Australia’s Aboriginal people and their spiritual Connection to Country. That connection stands in stark contrast to the western world’s market economy where rational values deride values of the Spirit. It is time now to return to Aboriginal people an acknowledgement of debt, a return of dignity so drastically deprived by our rational rejection of things spiritual.